Thank you & enjoy the masterclass webinar on microlearning! In a few moments, you will receive an e-mail containing information on how to access the webinar session on June 12th. Please click here to download the calendar item. 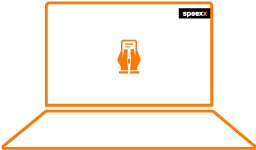 Curious about Speexx? Sign up for a 30-day, free trial today!